First State Compassion Center is a dispensary provides certified patients with safe, affordable access to high quality medical cannabis. They gather an amazing team that is highly experienced in the fields of security, law enforcement, and existing state-licensed compassion center operations. The team shares a deep appreciation and concern for patients with qualifying medical conditions, and will combine their diverse skill sets to help their patients improve the quality of their life with a help from high-grade medical cannabis. 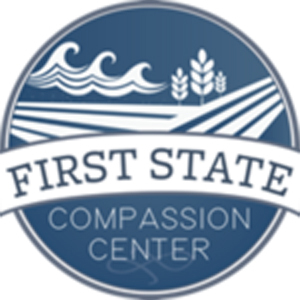 First State Compassion Center is passionate about educating the local community and dedicated to hiring local talent, hosting community events and working with the State of Delaware to provide patients with quality care. They believe that a patient-focused distribution system of medical cannabis can be achieved only when compliance with laws and compassion for patients work hand in hand.